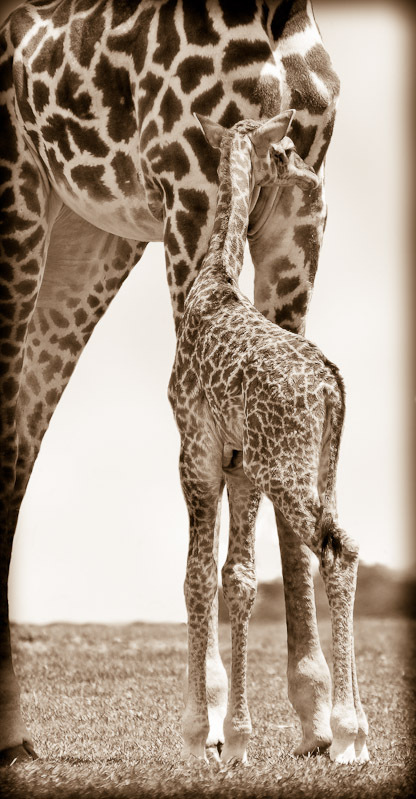 A newborn giraffe stands next to his mother. He has a lot of growing to do over the next few years. Males can reach a height of 18 feet. Crescent Island, Naivasha, Kenya.